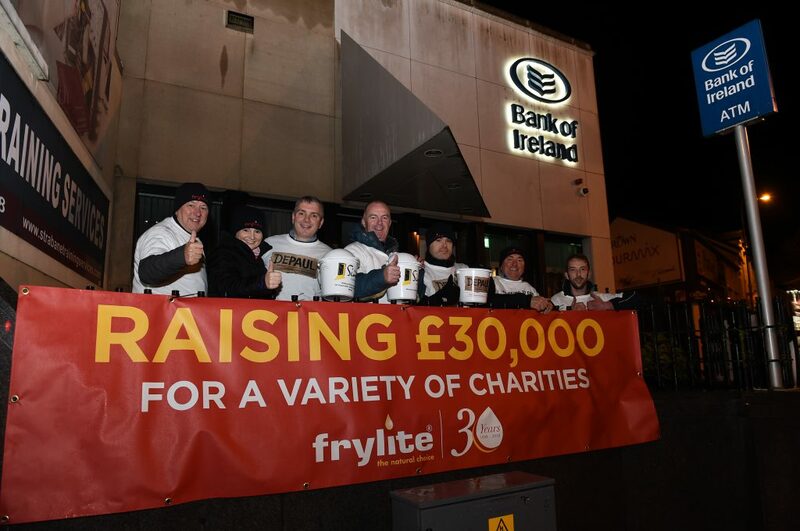 On Saturday 13th October 2018, Eamon McCay, founder/Managing Director of Frylite and the Senior Management team opted to sleep out overnight in Strabane Co.Tyrone to raise both awareness and funds to tackle the issue of homelessness across Ireland. 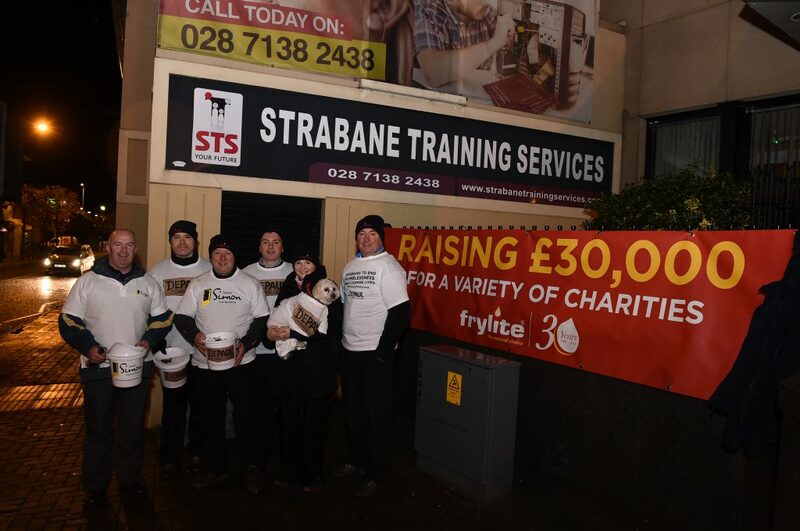 Currently we have raised over £10,000 for a variety of charities and The Frylite Sleep Out is just one part of a huge charity initiative designed to celebrate the company’s 30 years in business. 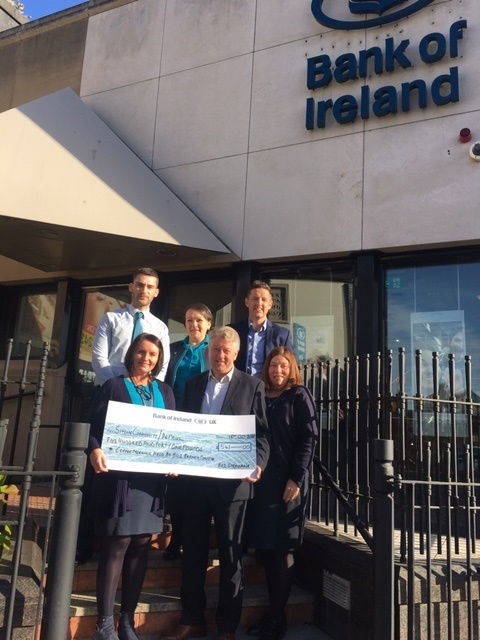 The support and generosity of everyone in Strabane and throughout Ireland has been incredible and we want to say a massive thank you to everyone who has donated. 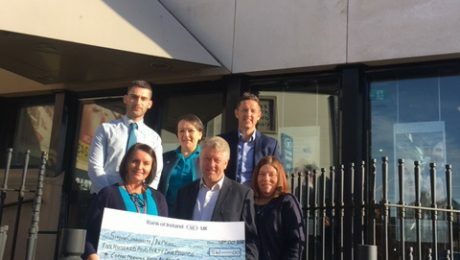 The Bank of Ireland (Strabane Branch) held a coffee morning on Friday 12th October in advance of The Frylite SleepOut in Strabane to raise awareness and raise funds to tackle the issue of homelessness across Ireland. £541.00 was raised and all proceeds of the coffee morning will go to a variety of charities including the Simon Community & DePaul. 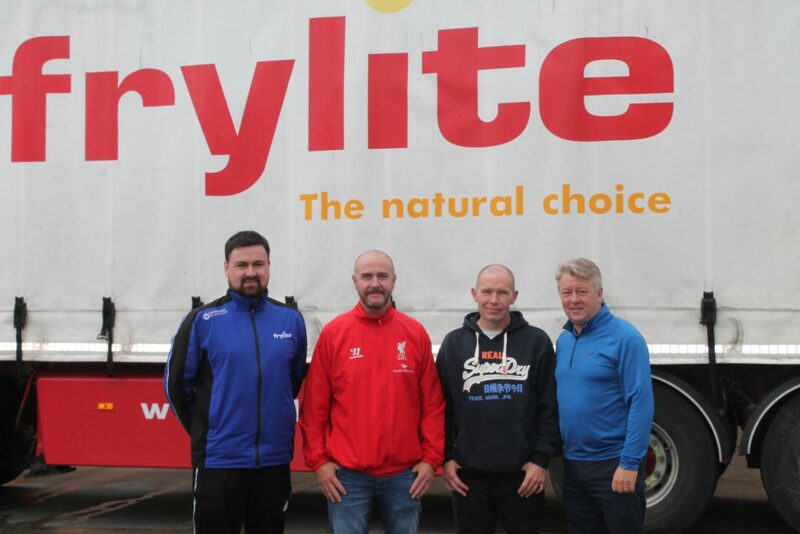 Congratulations to our Frylite drivers Mark Tinney and Mark Speake for successfully obtaining the Class 2 Driving Licence Certificate. Frylite ensure all our drivers are equipped with the latest technology to ensure safe driving throughout Ireland. 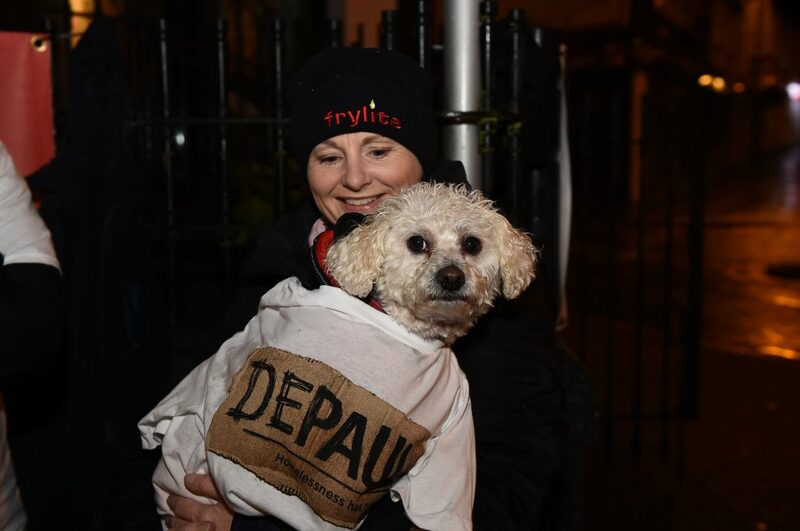 Frylite Managing Director to Sleep Out to Raise Awareness of Homelessness. 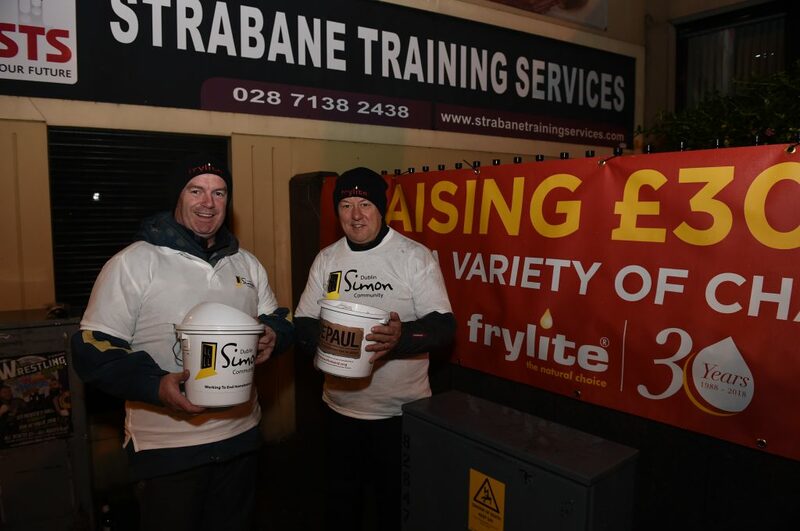 Eamon McCay, founder and Managing Director of Frylite, is bravely opting to sleep out overnight in Strabane Co.Tyrone to raise both awareness and funds to tackle the issue of homelessness across Ireland. Prompted by World Homeless Day on 10th October 2018, Eamon will spend the night of Saturday, 13th October on the streets of Strabane. Eamon acknowledges that he is fortunate in being able to choose the temporary homelessness and understands that for others it is not a choice. Almost 10,000 people described themselves as homeless in Ireland this year. That includes men, women, couples and families. These are staggering -figures, but the most important message is that we can all help. 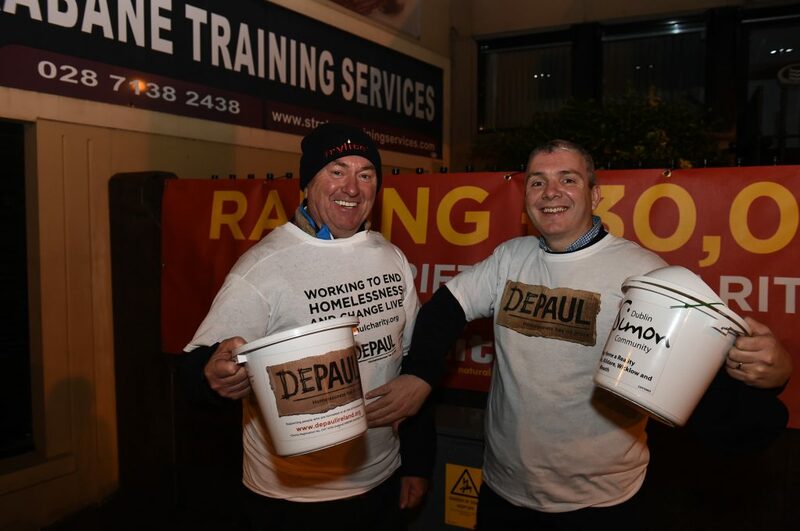 Eamon is working in partnership with a variety of charities including DePaul, a cross-border charity supporting some of the most marginalised individuals, couples and families experiencing homelessness. Their mission is to end homelessness and change the lives of those affected by it. 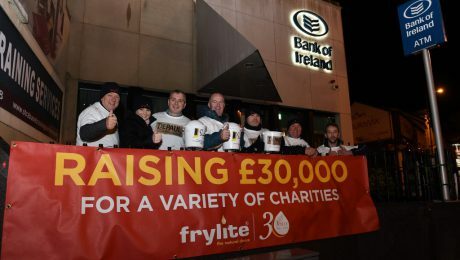 The Frylite Sleep Out is also just one part of a huge charity initiative designed to celebrate the company’s 30 years in business. Over the course of 12 months, colleagues are being encouraged to play their part in raising £30,000 to be donated to a range of nominated charities. 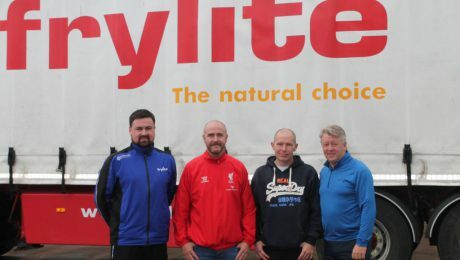 Eamon says “Frylite has always aimed to give back to the communities in which we live and work. Because we’re an all-Ireland business, we’ve found many ways to do this over the years and saw our 30 years in business as an even bigger opportunity to do more of the same. I personally am delighted to make this small gesture to help raise awareness of a nationwide issue.